There are many benefits to container gardening and this project takes it one step further. An internal reservoir allows the soil to naturally wick up water to the roots of the plant. Top gardening tips will tell you to never let your plants get too dry. with this system this is not a problem. This reservoir, combined with a weed shield, really reduces the maintenance needs of your outdoor growing. Planting a vegetable garden is rewarding when to get to eat the fruits of your labor, however, some planing can be tricky. Growing tomatoes and peppers can be a challenge but a self-watering planter such as the one I build here will make it a breeze. 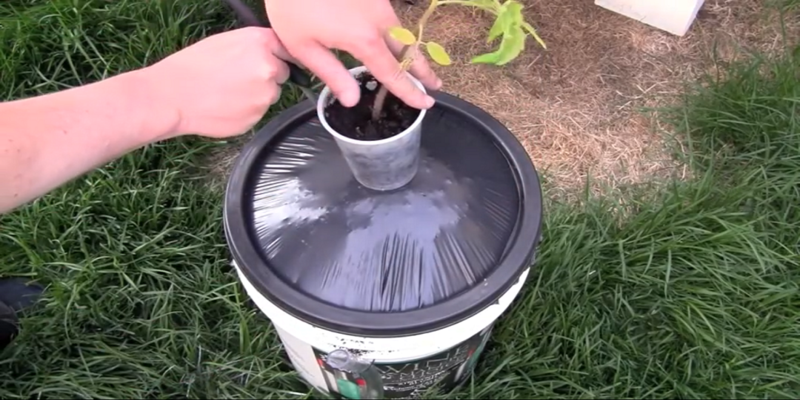 At the end of this video I will also show you how to plant and grow tomatoes in this system. One of my favourite aspects of this self-watering container gardening is that it is well suited for Off-grid project, as their is no need for power.